Life at the Webb: Find out what it’s like to live on campus, and learn about a few of the many opportunities that you can look forward to as a Gardner-Webb student. 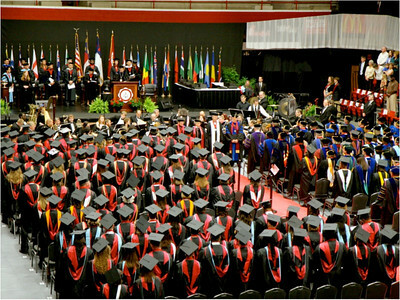 A Student-Centered Campus: In his recent 2010 campaign, GWU President Dr. Frank Bonner reemphasized Gardner-Webb’s commitment to being a student-centered university. That means we are a place where students’ opinions matter, where student learning is the focus of our faculty, where students are the motivators of our staff, and where students have an opportunity to actively shape the fabric of their university. Our students come from all around the world, but together they form a special, eclectic identity that is as rich as it is diverse. Gardner-Webb is a special place, and we work to find special people and give them unique opportunities to grow and develop. Where Main Street and Wall Street Collide: Gardner-Webb’s Godbold Business School is where main street and Wall Street collide. We boast one of the most popular MBA programs in the state, and more GWU undergrads choose Business Administration than any other major. 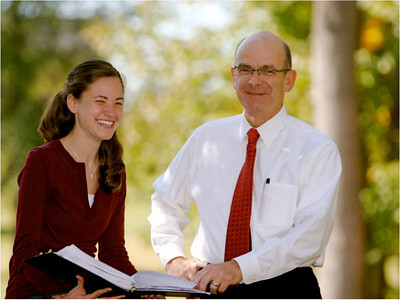 Most importantly, our professors ground their teaching in the Christian values of integrity and service, so our students are not only successful businesspeople but are role models in their communities as well. Innovative Research: Gardner-Webb offers more than 50 undergraduate majors and minors, each with its own unique challenges and opportunities. No matter their major, though, GWU students are encouraged to conduct innovative and creative research, like the recent science students who worked to synthesize biodiesel fuels from animal and vegetable fats. We even created a budget for funding undergraduate research projects, and we host an annual academic conference where students can participate in current academic debates with scholars from around the region. Unique Opportunities: Ever wanted to try new foods? Speak new languages? Travel the world? At Gardner-Webb, you can have those opportunities through our honors and travel abroad programs. Our honors students have opportunities to hear lectures, design and complete interdisciplinary programs, and travel the world. Honors students even have their own residence hall. Honors or not, every GWU student can take advantage of our study abroad program, which offers semester exchange trips or month- and week-long trips to Canada, China, England, South Korea, Malta, Sweden, Switzerland, France, and Italy, just to name a few. The Pulse of the Community: Gardner-Webb is particularly known for its nursing program, the only one at a Baptist-affiliated college in the state. We offer ADN, BSN, and MSN programs, enabling nursing students to work as full-time registered nurses while finishing up their bachelor’s degrees. Even better, we have clinical relationships with major hospitals in Boiling Springs, nearby Shelby, Gastonia, and Spartanburg, so GWU nurses network and build professional relationships even as they are fulfilling their degree requirements. Joyful Hands: Students in all of our programs are challenged to become better communicators, but our ASL students and members of the Joyful Hands club have made communicating an art form. 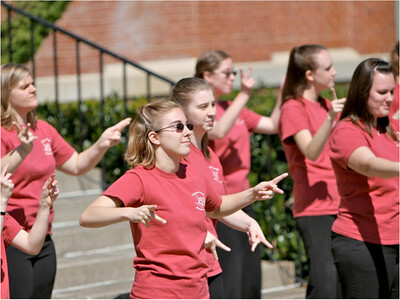 Gardner-Webb is the only university in North Carolina and one of few in the entire country to offer a major in American Sign Language. Mic'd Up: Every year, Gardner-Webb students land competitive, prestigious internships that improve their marketability. In just the past couple of years, GWU students have interned with the likes of IBM and the National Football League. 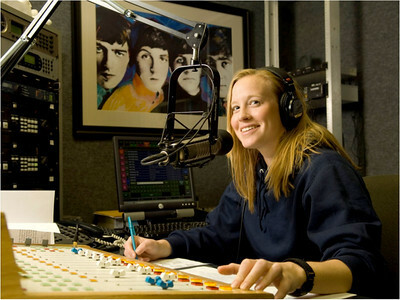 But students can enjoy an array of on-campus internship opportunities as well, particularly in the Media Relations field, where they can write for Gardner-Webb: The Magazine or for the campus newspaper The Pilot, work the media desk at Gardner-Webb athletic events, or even DJ at our campus radio station WGWG. Mentors in the Classroom: Gardner-Webb faculty are some of the most accomplished, respected scholars in their respective fields. 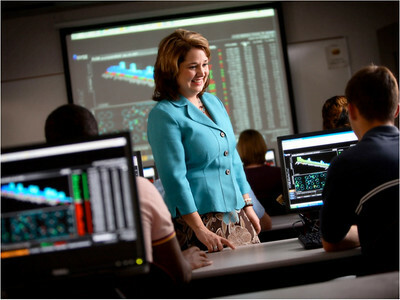 In fact, of our 148 full-time faculty, more than 80 percent hold the highest possible degree in their field. So why are they not teaching at bigger, more prestigious universities? In a word, because they love teaching. Our professors prefer building meaningful relationships with students to the publish-or-perish world of other institutions. With a faculty-to-student ratio of 13 to 1, students enjoy small classes, quality instruction, and intimate interaction with excellent, committed teachers. More than Dorms: At GWU, our residence halls are more than just “dorms.” They are learning and living communities, networks of friends and classmates that become the characters and settings of every unique Gardner-Webb story. Our Residence-Education staff work diligently to make our campus a home that students can enjoy. Even more importantly, life in the residence halls cultivates spiritual and relational growth, teaching life skills that are vital to students’ personal development. Pro Deo: Our motto is “Pro Deo Et Humanitate,’ which means “For God and Humanity.” At Gardner-Webb, we are committed to our heritage as a faith-based institution, because we believe only when grounded in Christian faith can people truly achieve and enact productive service and leadership. 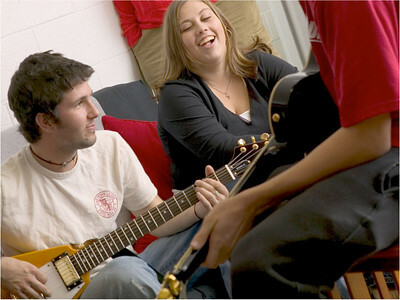 Whether it is through majoring in Religious Studies or taking the required New and Old Testament Survey courses, participating in one of our more than fifteen Christian clubs and organizations, or simply thriving on active discussion in the residence halls, Gardner-Webb students are encouraged (but not forced) to pursue personal spiritual growth. …Et Humanitate: We also want our faith to be visible through our lifestyle. Every year GWU students log thousands of community service hours not only in local Cleveland County but around the world through missions trips. Recently, for example, GWU students led a relief effort to disaster victims in Haiti. 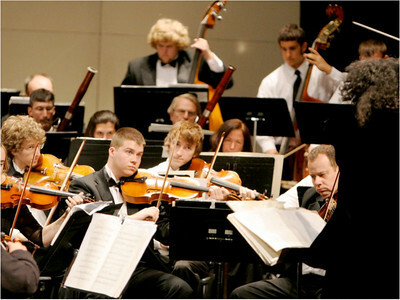 As a result of this commitment, in 2010, Gardner-Webb was named for the third consecutive year to The President’s Higher Education Community Service Honor Roll, the highest federal recognition a college or university can receive for its commitment to volunteering, service-learning, and civic engagement. 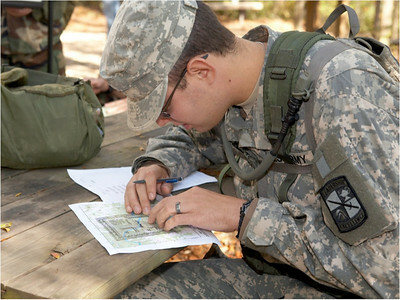 A Lifestyle of Sacrifice: While “sacrifice,” “leadership,” and “service” characterize most of our GWU students, our ROTC cadets redefine those qualities on a daily basis. Prospective cadets can apply for two, three, and four year scholarships that fund everything from tuition to books. Upon graduation, cadets are commissioned during commencement as Second Lieutenants, and they begin exciting careers as leaders and public servants in our armed forces. All About the People: If you ask students what they love most about Gardner-Webb, you will hear a variety of compelling answers. One word, though, usually pops up again and again: “The people.” At Gardner-Webb, you will encounter people who truly care— about education, about each other, and most of all, about Christ. 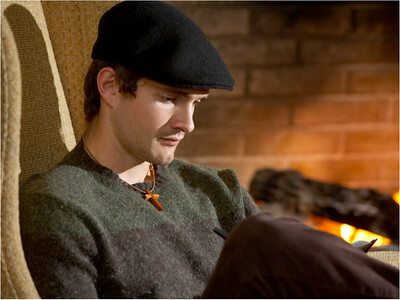 In a place like this, truly lasting friendships are not only likely, they are inevitable. Redefining Excellence, One Lap at a Time: In addition to winning multiple conference championships and nearly placing one swimmer in the Olympics in 2008, Gardner-Webb’s Women’s Swim Team has earned a national reputation for academic excellence. The 2010 lady Bulldogs earned the best cumulative GPA for all Division 1 swimming programs in the nation, the third time GWU has earned that prestigious recognition in the program’s 11 years of existence. 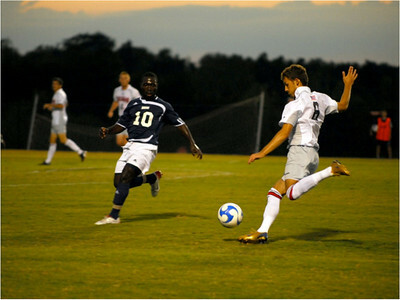 Soccer at Sunset: Gardner-Webb boasts state-of-the-art athletic facilities, including Paul Porter Arena, the Spangler Football Stadium and the GWU Football Center, and the Greene-Harbison Stadium where fans enjoy Bulldog soccer under Boiling Springs’ beautiful sunsets. The Diamond Dogs will also take the field in 2011 in a brand new baseball stadium, currently under construction. 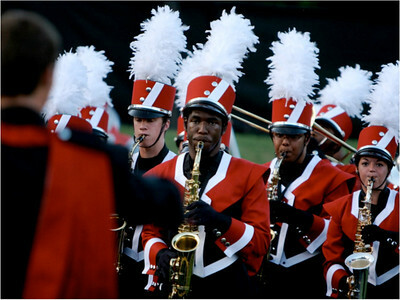 Big Sound in the Big South: Gardner-Webb students who are musically inclined can also audition for the Marching Bulldogs, who bring sensational sound to every home GWU football game. Students who make the band are even awarded scholarships. “We don’t just bark, we bite:” So say the T-shirts of the GWU Dawg Pound, the official club of Gardner-Webb sports’ raucous student-fans. 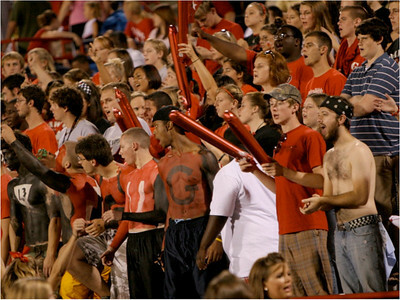 The Dawg Pound is the lifeblood of Gardner-Webb athletics, bringing hype and holler to GWU home games all year long. These committed crazies have been known to swap shirts for body paint in sub-freezing temperatures, to camp out for days during exam periods for away tickets, and to make opposing players shed tears. 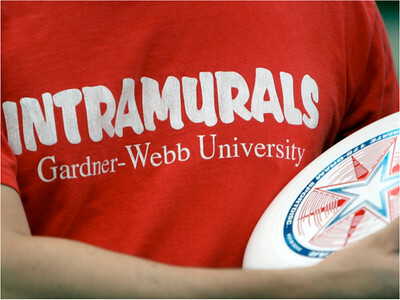 Where Legends are Made: Even despite Gardner-Webb’s Division 1 athletic program, most GWU students will insist that it is on the intramural fields where true legends are made. With options as varied as intramural skiing, flag football, fishing, soccer, tennis, dodgeball, and even Frisbee golf, every GWU student can get in on the action. Who Could Ask for Anything More? You can have more than your “10 minutes” at GWU. 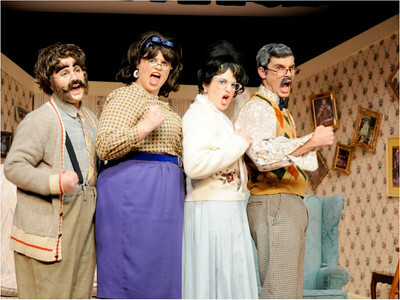 Gardner-Webb’s award winning theater program offers students opportunities to major in Theater, to audition for major productions, or even try their hands at writing and directing plays of their own. Even students without backgrounds in drama can shine on the stage. In one of the semester’s most exciting events called “24,” students are given 24 hours to write, cast, audition, and stage one-act plays. Anyone can sign up to write, anyone can audition, and hilarity always ensues. Express Yourself: In addition to the theater program, GWU also offers academic programs and clubs in all aspects of the arts. Students can paint murals, make pottery, write poetry, film movies, or sing in one of several student choirs. One student recently even composed and directed his own symphony, based on the epic Beowulf, as his senior honors project. 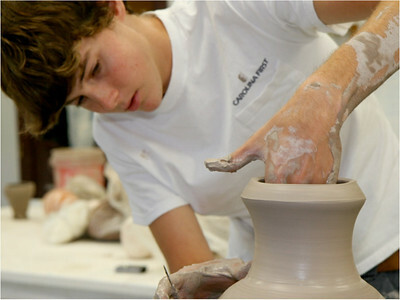 Regardless of your taste, you can find an outlet for artistic self-expression at GWU. Leadership at its Finest: Unlike at many universities where students may not even know their president’s name let alone know the person, Gardner-Webb President Dr. Frank Bonner makes it a point to get to know his students personally, and often by first name. Dr. Bonner has set a precedent not only for his staff but for the entire university that the values of service, faith, thoughtfulness, and a commitment to excellence will be the foundation of our university. 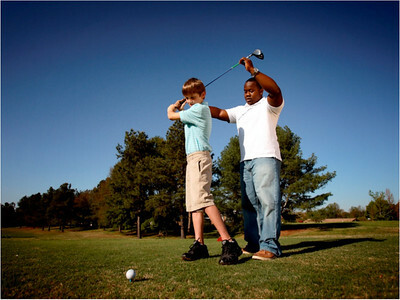 As a result, students at Gardner-Webb have mentors and role models they can emulate, from the top down. The Crowning Achievement: Upon completion of their degrees , students process in all their regalia through the Huggins arch and enjoy a spectacular commencement ceremony, a time to celebrate the friendships and memories forged at GWU. Most importantly, commencement is not just the end of something but also the beginning—of students’ lives after GWU, of their civic and spiritual leadership in their adult communities, and of their active citizenship in our global world. Get Caught in the Webb: You’ll enjoy countless opportunities as a student at GWU, but you have the most important opportunity before you right now. Come for an official campus visit, and see for yourself what makes Gardner-Webb so special. We look forward to seeing you around campus.